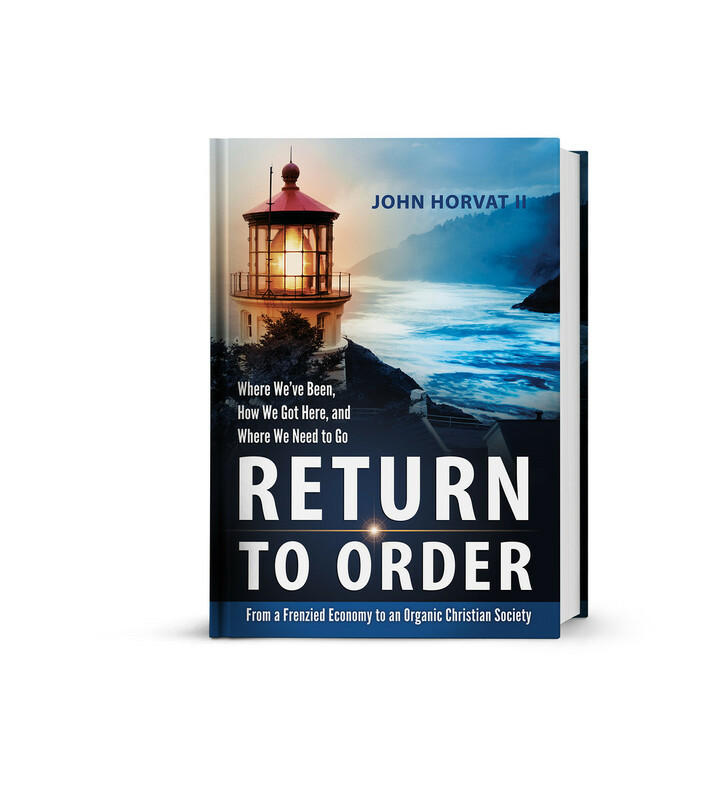 In the ground-breaking book, Return to Order, John Horvat II explains the root cause of our shaken economic order is a moral crisis that manifests itself in the economy. 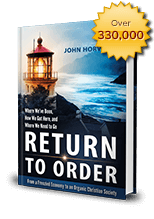 Backed by nearly twenty years of research, Mr. Horvat offers an inspiring and hopeful path to reverse our crisis and offer solutions for the future. 400 pages, 49 color and 7 B&W illustrations, hard cover with dust jacket, and color bookmark.